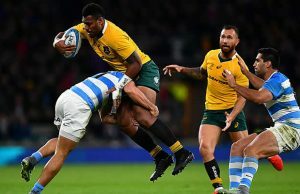 Australian coach Michael Cheika has come out and defended the condemnation of South African referee Craig Joubert who wrongly awarded a match-winning penalty to Australia. Scotland were leading 34-32 in their Rugby World Cup quarter final against Australia with two minutes remaining when Joubert gave Australia a penalty and then later sprinted from the field directly after ending the match. Wallabies flyhalf Bernard Foley goaled the kick which put Australia into the lead. However World Rugby have come out and said that the penalty should not have been given. The Scotland Rugby Union have yet to comment on the manner in which they were erroneously kicked out of the world cup but Cheika says that Joubert needs to get more support from those around him. World Rugby’s statement that their referee was wrong to have awarded the penalty has effectively thrown the South African under the bus. Countless former players, commentators and match pundits have slammed Joubert for the way that he broke tradition and ran off before shaking the captains hands after awarding the penalty. Australia coach Cheika said Joubert needed more backing. 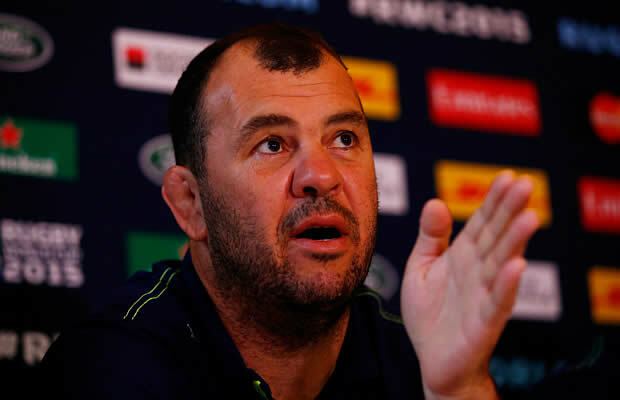 “I’d like my mates to back me up a bit more,” Cheika told an Australian team press conference. “We have the right principles in the game, but now will other teams be drawing up a list of things to review: the Samoans about a Scottish knock-on before their winning try?” he added. “Each team will have a list as long as your arm. Genuinely I’ve never seen that before. I am not sure why that decision had to be publicly reviewed and put out there. 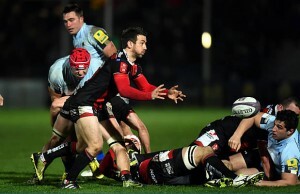 “I genuinely feel for Craig Joubert. It’s so unfair. No other referee has had this stuff put out there like that and he’s a very good referee,” said the Australian coach. “I have been a little saddened by some of the comments made towards the referee as that doesn’t have a place in our game,” said former England captain Lawrence Dallaglio. This is not the first time that Joubert has come in for criticism as in 2011 World Cup final he was slammed for allowing Richie McCaw to enter the ruck three times from the side without penalty which allowed New Zealand to win the world cup 8-7. Joubert has been rested by World Rugby for the Semi-finals but could return for the Rugby World Cup final should South Africa be knocked out.